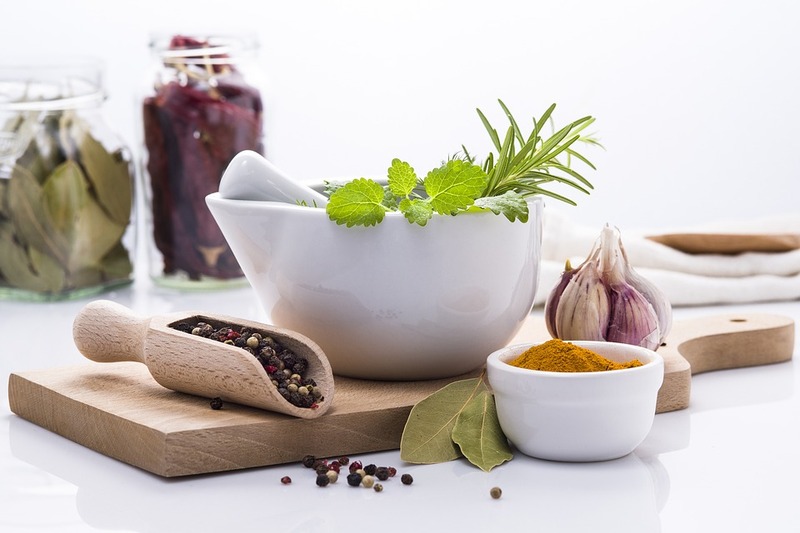 Looking into your pantry stocked with a variety of herbs and spices, what to do?… what to cook? 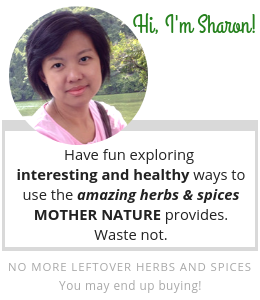 To be able to use them correctly, knowing the herbs and spices by their characteristic will definitely help. 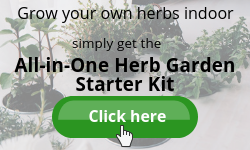 Herb comes from the leafy and green part of the plant, either fresh or dried. However, it is most effectual and aromatic when used fresh. Mostly grown in temperate to hot regions. Spice is the root, stem, bulb, bark, berries or seeds of the plant, usually dried. It is generally used in small amounts and best used dried. Mostly grown in subtropical or tropical climates. It is possible for one plant to provide a herb and a spice. 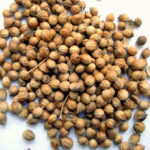 For example, Coriandrum Sativum, the leaves are used as the herb cilantro while the seed is used as the spice coriander. Both herbs and spices are used to add flavour, aroma, colour, texture and nutrients to food. It is also known to preserve food and cure illness. Generally, spices have a more pungent flavour than herbs. Imagine what food will be like without the unique flavours? Now, let's look into the common cooking herbs and spices. Basil is a herb. Many varieties of basil are available from the red and purple to the sweet and spicy. The leaves have a strong pungent taste that compliments fish and meat dishes, particularly those containing tomatoes. It is the basis of pesto sauce. Fresh basil has a clove accent while dried basil has a curry-like flavour. Cilantro also is known as Chinese parsley refer to the leaves of this plant. It has a strong fragrance that is both sweet and pungent. Often used raw or added to the dish immediately before serving. 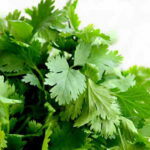 Cilantro makes a delectable addition to vegetable salads, dressings, soups and stews. 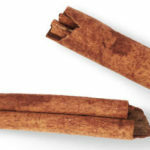 Cinnamon is a spice obtained from the inner bark of an evergreen tree, available in whole quill form (stick) or powder. It is used in both sweet and savoury foods. Ground cinnamon with its warm sweet aromatic flavour is widely used in baking, while cinnamon sticks add a slightly spicy flavour to meat, fish, vegetable or rice dishes. There are many health benefits to cinnamon. Coriander is a spice. It is the seed of the coriander plant. The fresh leaves of this plant are called cilantro. The seeds have a lemony citrus flavour when crushed. It is described as warm, nutty and spicy. Ground coriander is a major ingredient in curry powder. 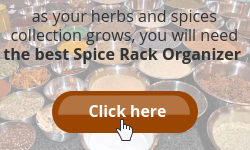 It makes a great component in spice rubs for fish and chicken. 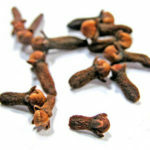 Cloves are the unopened pink flower buds of the evergreen clove tree. They have a warm, sweet and aromatic taste that is used in cooking either whole or in ground form. 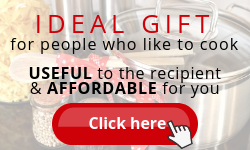 It is well matched to flavour pork or ham dishes and is also used with stewed or baked fruit. Cloves can be used to relieve stomach bloating. Cumin is the dried fruit of a plant in the parsley family. It can be used whole seed or ground. Its distinctive flavour holds an earthy, nutty and spicy taste. Ground cumin gives a warm aromatic lemon flavour to meat, fish or egg dishes. 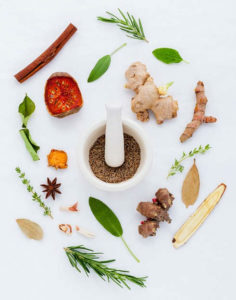 It is also an ingredient of most curry powders and many savoury spice mixtures – used in stews and grills, especially lamb and chicken dishes. Dill is an important culinary herb that is used for its seeds and leaves. 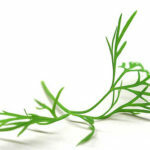 Dill leaves are wispy and fernlike and have a soft, sweet taste. It pairs exquisitely with seafood, smoked salmon, potatoes, eggs and creamy sauces. Dill seeds have an aromatic, sweet and citrusy flavour, but slightly bitter. Usually, sprinkled over casseroles, bread and salad dressings. Fennel produces both herb and spice. All plant parts are edible – roots, stalks and leaves, with the spice coming from the dried seeds. Fennel has a warm and liquorice-like taste that is slightly sweet. 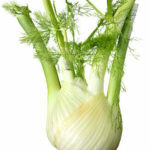 As a herb, fennel is used in sauces for fish and to season pork roasts. 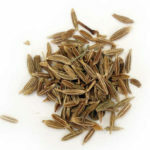 The fennel seed can also be used in fish dishes especially for poaching fish and seafood. 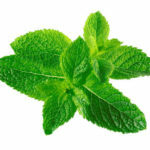 Mint is a herb much valued for its sweet, mellow flavour with hints of lemon. It has a fresh tangy fragrance with a strong menthol aroma. It is commonly used to make the mint sauce to complement lamb dishes. It also complements a wide range of desserts too, either incorporated into it as a flavouring or used as a garnish. Click here to read more about mint. Oregano is a herb. Its leaves are used either fresh or dried where the dried has a stronger aroma than the fresh herb. The strong aroma is pungent and the taste is warm, spicy and bitter. 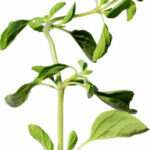 Oregano can be used with any dishes that have tomato and in salads. 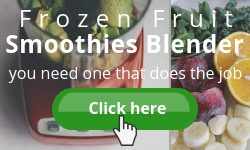 It is frequently used in pizza toppings, pasta sauces and guacamole. Paprika is a fine spice powder made from dried capsicum fruit. 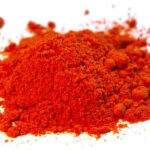 Paprika is often smoked, giving it a unique, earthy flavour. It should never be overheated as it can become too bitter. Paprika is widely used in stews and casseroles such as goulash. It pairs well with most meat dishes that is beef, veal, chicken and pork. Parsley is often thought of as just a garnish. 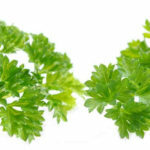 There are two types, curly parsley and Italian flat leaf parsley. The Italian variety is more fragrant and less bitter than the curly variety. Overall, parsley has a vibrant, aromatic flavour with a slightly lemony aroma that pairs beautifully with fish, potato and egg dishes. Add parsley towards the end of cooking as heat can destroy the flavour. Rosemary is a herb that has a minty, peppery, balsamic taste with a bitter, woody aftertaste. It is an excellent herb for potato dishes and other root vegetables like carrots and onions. Pairs flawlessly with lamb and chicken too. 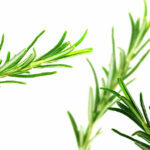 When rosemary is added to spaghetti sauce, it will bring out the flavour of other ingredients. It’s a good addition to tomato-based soups, stews and sauces. Star Anise is a star-shaped spice used predominantly in Asian cooking. It is used either whole or the pod broken into pieces. Its flavour is distinct and sweet with a fresh, pleasing aftertaste. 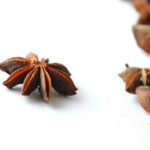 Star anise pairs well with chicken, fish, eggs and braised beef dishes. It also pairs brilliantly with tomatoes. A single pod of star anise adds a new level of flavour to tomato based sauce or stew. Thyme is a herb. 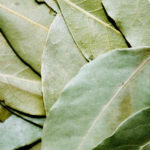 Its leaf, fresh or dried is often used to flavour meats, soups and stews. 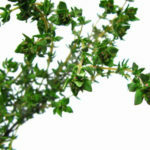 Thyme has a herbaceous and floral aroma. 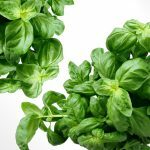 Fresh or dried, the leaves are usually added to other herbs and spices, typically in Italian seasoning herb blends and in herb and spice mixtures, like poultry seasoning. Turmeric or yellow ginger is a spice similar to ginger in appearance, but it has a totally different taste. The flavour is a little bitter and sour. The aroma is similar to ginger though with a citrusy earthy tang. It gives its characteristic yellow colour to food. 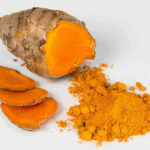 Turmeric is an essential ingredient in most curries and it blends well with a fish dish as well as beans and eggplants. Use turmeric to treat acne naturally. Go on, select to read any post listed above that you are interested in. 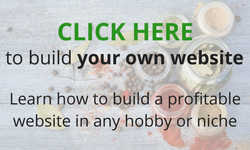 Click here to read articles on using herbs and spices for health. Find out how to make simple home remedies.